A magic stick that smartens up your TV for £50? Bargain. Ever wanted to stream Netflix on your TV but don’t have a PlayStation or Xbox? Is your TV simply not Smart enough? Streaming media devices are where it’s at. And if you’ve ever searched for that phrase, you’ve probably come across Roku. They’ve been a big player in the market for a while now. It’s a niche sector – only those with an old TV and without the desire to buy new, webbed-up set need apply – but competition is heating up, with Google launching Chromecast last month and Amazon announcing its own Fire TV box. Now, Roku have slimmed down for their new product: the Roku Streaming Stick. We take the gadget through its paces. Small and purple, the Roku Streaming Stick is a good-looking piece of kit – like a USB stick sponsored by Ribena. That size means it can plug into your telly without the need for a box sitting underneath your set, which keeps your living room nicely uncluttered (although you will need to plug it into the mains). The remote is equally simple: 8 buttons and D-pad, which let you navigate to the home screen quickly, scroll up and down menus and fast forward/rewind/play and pause all easily. Best of all, you don’t have to point the remote at a set top box, making it extremely easy to operate. At £49.99, the Roku Streaming Stick is more expensive than Google Chromecast, but it’s the same price as Roku’s cheapest box (and cheaper than its two premium models). Smartifying your telly for under £50? It’s a competitive price. Installation is surprisingly easy. Plug the stick into your HDMI port and it takes a few minutes to start up. You’re then prompted to sign in on the Roku website via a computer or other device – enter an authorisation code and a bank card (for any in-app purchases or VOD subscriptions) and your stick is officially linked up and ready to go. 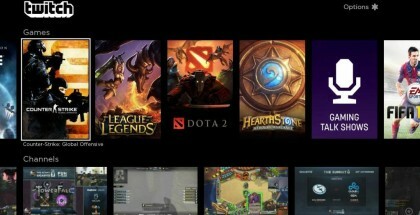 Channels will then be added to your home screen automatically. All in all, it’s a painless five minutes. 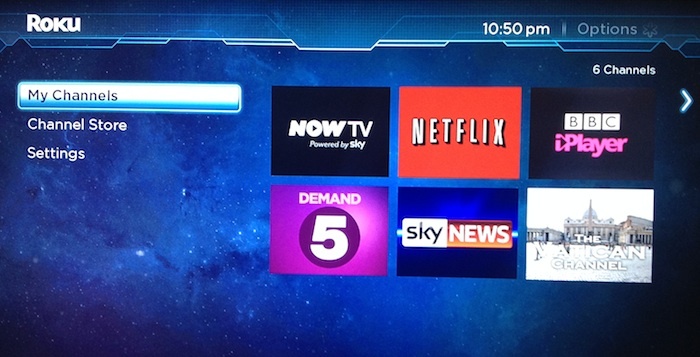 The five default channels added to your Roku Streaming Stick are: NOW TV, Netflix, BBC iPlayer, Demand 5 and Sky News. There are tons of others, though, easily accessible through the Roku Channel Store. All of them are laid out in a typical grid, which is easy to browse. Other notable video apps include 4oD, Sky Store and IndieFlix. BBC iPlayer is essentially the same app you can find on other devices: pink, quick and impressive. The video quality lives up to the HDMI tag on the stick. NOW TV is, again, the same app you’ll find on a games console – for better or for worse. The content, which includes Sky’s TV channels and/or movie catalogue (depending on whether you have an Entertainment Pass – £6.99 a month – or Sky Cinema Month Pass – £9.99 a month), is excellent, but the menu itself is hard to navigate. Again, this is the same experience on any other NOW TV app: this is in no way the fault of Roku. Netflix, likewise, offers the same experience as other devices and is fantastic, both in video quality, UI and content. Sky News contains lots of short video snippets from recent news reports, if you like getting your news from Sky. Video quality is notably SD: the image leaves much to be desired. Demand 5 is well worth checking out, if you’re a Channel 5 fan: the app is funky and purple with a neat approach to menus and categories; it’s like an intuitive NOW TV. YouTube is present and correct and the streaming service works as well on the big screen as it does on the small. Other content ranges from the niche – Dezeen promises “Halal Entertainment” – to the downright bizarre – The Vatican Channel, which is full of unofficial (bad quality) videos discussing conspiracy and history within the Catholic Church – and the plain rubbish – a classic kung fu movies app, full of what appears to be camcorded VHS tapes, chopped up into five-minute “chapters”. The diversity, though, is impressive. Fox have wasted no time in loading up all their local news channels to the library, while you can even watch Sunday morning sermons on-demand from churches across the US. Plex and other media server apps let you stream content (music, videos, photos, etc) from any computer connected to the same Wi-Fi network. Much like the Roku set-up, a quick visit to a computer to link up the two is all that’s needed. But most important of all is the recent addition of Sky Store, which allows you rent movies. You have a range of subscription VOD services available, but without iTunes or blinkbox, there is no other way to watch new home entertainment releases. Sky Store is easy to use and meets that need competently. Notable absentees include blinkbox, ITV Player and Amazon Prime Instant Video. Apple will never release apps for other platforms as long as its Apple TV box is in play. Plex and other media server apps let you watch your iTunes videos on Roku, but not the DRM titles. Home movies? Stream away. Anything bought through the iTunes store? Hold your horses. 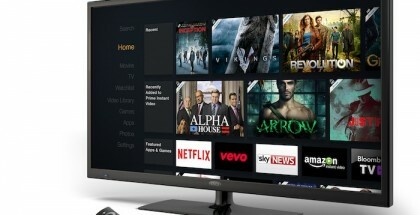 The lack of ITV Player and Amazon Prime Instant Video are a shame given their availability on computer consoles and other devices – but it is surely only a matter of time until both are added. Ditto for blinkbox. 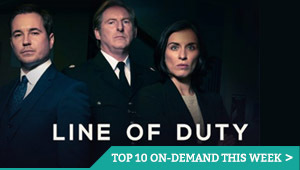 In short, don’t expect to get your Parks and Recreation or Midsomer Murders fix any time soon. You can also get games on your Roku Streaming Stick, which vary from the ubiquitous Angry Birds to a popping bubble wrap simulator. Prices are the usual post-iPhone figures. We tried a flappy bird clone for £0.69. It was almost definitely not worth that. The Roku is nothing stunning, but that simplicity is what makes it work: when the last thing you want is another remote in your house, the iOS-like panes of apps is something viewers of all ages could handle. Interestingly, you can now download a Roku app on your phone, which allows you to use that to control the box. You can also change your Roku’s appearance using a collection of near-identical themes (decaf = brown, for example). One, though, gives it a nebulous effect that’s rather spiffing – and feels aptly futuristic. Because it plugs into an HDMI port, you will need an HD TV. Otherwise, the Roku Streaming Stick is compatible with all TV models – and supports 720p (its default setting) and 1080p displays. 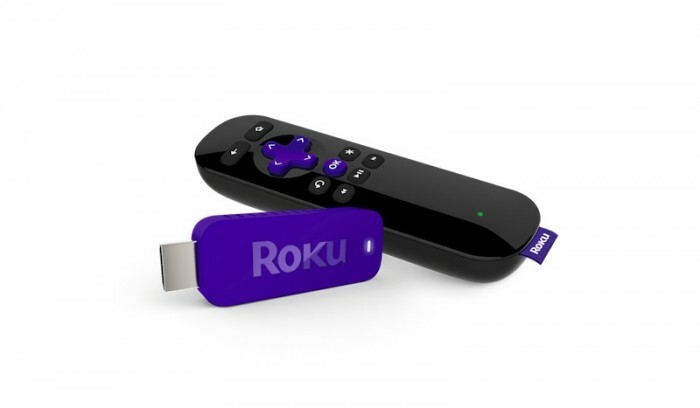 Small, simple and soft on your wallet, the Roku Streaming Stick is an excellent way to add VOD to your TV without any fuss. Some apps are missing but it has everything from iPlayer and Netflix to movies-for-rent. 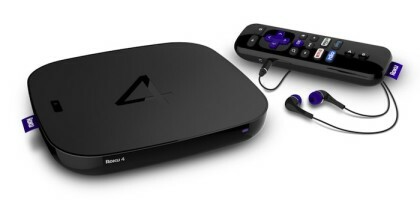 The only thing against it is whether you actually need one; a lot of TVs today already come with web connectivity, so it’s a niche target market Roku are aiming for. But if you have an HD telly and don’t want to fork out for another for a few years, this is pretty much the best way to do it.